The agenda for the Costa Mesa City Council meeting on Tuesday, May 3, 2016 was published today. You can read it HERE. The meeting begins at 5:45 p.m. in City Council Chambers at City Hall. The open session will be preceded by a Closed Session beginning at 5:00. 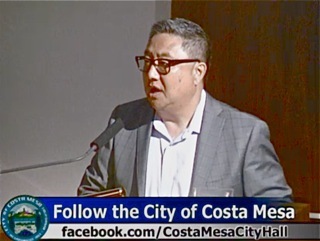 There are four (4) items on that agenda segment - three litigation items and one regarding labor negotiations with the Costa Mesa City Employee Association. There are a few items on the Consent Calendar that are interesting. Item #1, Warrant #2556, HERE, has the normal items listed. I'm not going to list all those that provoke me with the exception of one entry. Early on the list is an entry for Jones & Mayer, our contract City Attorney firm for $65,175.10 for a single case - "Dadey". This is noteworthy because that amount is approximately a third of the normal entry for the firm. We've seen that name on the Closed Session entries in the recent past as the council apparently discussed this very expensive case. Click on the link above to review the remainder of the Warrant. Item #4, HERE, is an interesting entry. This involves the emergency removal of a fuel tank at Fire Station #3 at 1865 Park Avenue, near Lions Park. Apparently in March the underground diesel fuel tank at that station failed and leaked fuel into the soil. An emergency purchase order was issued not to exceed $100,000 to mitigate this problem. Item #6, HERE, is a $178,000 contract for a Temporary Web Master Consultant to design and develop the City's internal web platform and applications. 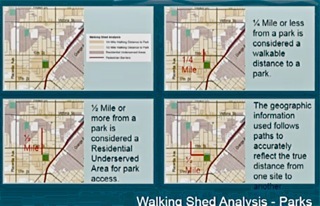 Among the goals cited is a "Homeless Tracking System". Read the staff report for the rest. Item #7, HERE, is the establishment of a new position - Emergency Services Administrator. This new position will apparently replace - and use the budgeted funds allocated for - a vacant Logistical Support Manager. The title is fairly self-explanatory, - responsibilities include the preparedness of the Emergency Operations Center - but read the short staff report for details. Public Hearing #1, HERE, is for the Fiscal Year 2016-2017 Funding Priorities for the Community Development Block Grant (CDBG) and Home Investment Partnership Program (HOME). This will involve more than $1.2 million in CDBG funds and almost $900,000 in HOME funds. 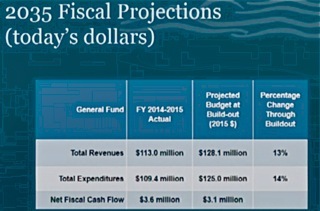 Take a look at the staff report for the details of how these funds will be spent. New Business #1, HERE, is the first step in the path to placing a Bond issue on the November 8, 2016 ballot for Affordable Housing in Costa Mesa. The council must adopt the resolution by a 2/3 vote - that's actually 4 of the five members - in order for the process to move forward. If passed the process moves forward to the Planning Commission on May 23, 2016 and then back to the City Council on June 7th and June 23rd. 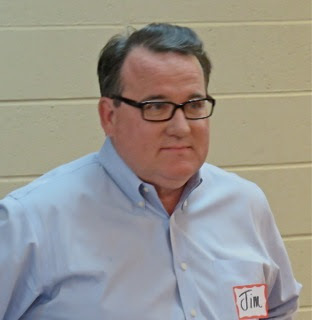 If there are not four (4) votes on the council next Tuesday, then Jim Righeimer's vindictive, in-your-face bond scheme dies. It's estimated that it will take $20,000 and a mountain of staff time for this item to be placed on the ballot. New Business #2, HERE, the Business Improvement Area (BIA) Reauthorization and Resolution of Intention, and Review of Annual Audit. According to the recent audit, the Convention and Visitor's Bureau will have a cash equity of $2.57 million by the end of June. The BIA is funded by a piece of the Transient Occupancy Tax levied on eleven (11) hotels. 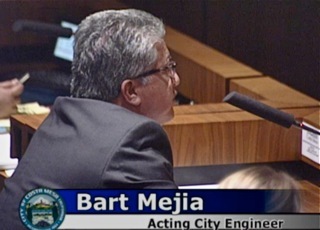 The purpose is to help the BIA promote tourism in Costa Mesa. The video recording by Costa Mesa Brief of the debate between council candidate Jay Humphrey and Mayor Pro Tem Jim Righeimer is now up and available for viewing. This 85 minute record of the meeting is certainly worth watching - even if you were there. Thanks to Barry Friedland and his Costa Mesa Brief crew for covering this event, and for the professionalism demonstrated in his final work product. As mentioned in my earlier post about this event, the evening began with controversy over just who could record the event. I suspect Barry wasn't happy about having unanticipated competition by folks using cell phone cameras. However, his product is worth the wait. I confess I have not taken 90 minutes to watch it all again. 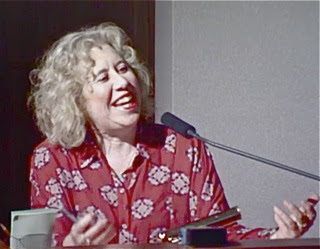 What I DID DO, however, was scroll out to the 1:18:00 mark on the presentation to see the interviews with folks who attended, to see what kind of balance there was at the tail end of this video document. I was disappointed to find that, of the nine people interviewed for that segment, only two - Wendy Leece and Humhprey - represented that side of the equation. 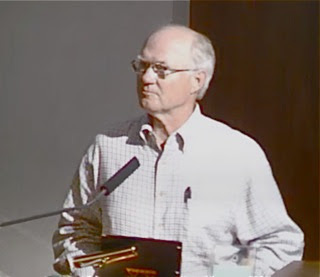 The others interviewed were Righeimer, Mayor Steve Mensinger, Mesa Water District Director Jim Fisler, Costa Mesa Public Square minions Julie Fowler and Doug Vogle, John Hill (an organizer of the event) and Moderator Tom Pollitt. Each of those folks were clearly supportive of the Righeimer side of the discussion. I don't know how many other people were interviewed - the building cleared out pretty quickly at the end of the debate - so there may not have been other interview opportunities available. I do know that Barry chased me half way to my car for an interview, which I declined to do and suggested folks could read my opinion on this site in the morning. I did appreciate the offer, though. So, for those interested in viewing this event, just click on the video and sit back and enjoy. You can form your own opinion about which side made the most compelling argument. In a terse announcement distributed late this afternoon The City of Costa Mesa announced the cancellation of the Parks and Recreation Commission meeting scheduled for tomorrow at 6:00 p.m. in Council Chambers at City Hall. I wrote about the agenda for this meeting HERE, and apparently there was nothing that couldn't wait another month. I find myself wondering just how much impact the hastily-planned Trump rally at 7:00 p.m. across the street at the Orange County Fair And Event Center had on this decision. 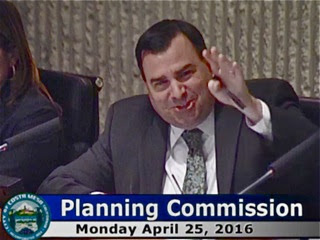 Then, again, it could have been a shortage of commissioners, which are already one down with Don Harper's resignation. So, I get the night off and the Trumpfest can proceed without conflict... HA! 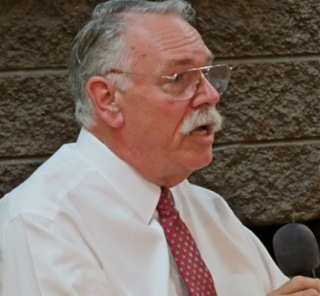 Last night the Costa Mesa Republican Assembly hosted a debate between Mayor Pro Tem Jim Righeimer and former councilman Jay Humphrey on the so-called Smart Growth Initiative before a packed house at the Halecrest Community Center. It's an interesting sidebar that Righeimer - then a sitting mayor - barely beat Humphrey in the last election by 47 votes. My best guess - after counting heads and as the crowd morphed throughout the evening - is that between 70 and 100 people attended this event. It was a much larger turnout than anticipated by the organizers - lovely, courteous folks. The crowd seemed to be about evenly split from an allegiance standpoint. The only murmurs heard from the audience were those times when the timekeeping went astray. It was amusing to look out over the crowd and see a half-dozen people using their phones to keep time. Also in the crowd were Mayor Steve Mensinger, Planning Commission Chair Rob Dickson, Vice Chair Jeff Mathews and Commissioner Stephan Andranian. 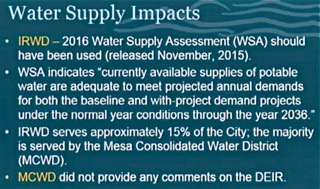 Mesa Water Director Jim Fisler was in the room, as was Senior Commissioner Ann Perry. Of course, there were many familiar faces in the crowd - activists on both sides of issues, there to hear the discussion and support their side of the issue. I cannot begin to list them all here. The evening got off to a dull thud for Master of Ceremonies Tom Pollitt when, before the program began, he greeted one of the guests with this question: "When are you due?" This question was directed to a 70 year-old lifetime resident and cancer survivor who has a slight weight problem. She politely informed him of the facts and moved away from him. Unfortunately, things didn't get much better for him, either. 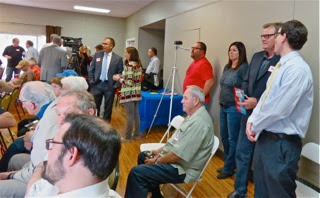 Although the program began promptly at 7:00 p.m., Pollitt took advantage of the crowd to introduce himself and two others, Carol Woodworth and Cari Swan, who are all running for seats on the Republican Party Central Committee. I made a mental note to NOT vote for Pollitt. Just before 7:15 he got around to the reason for the event - and introduced Humphrey, which he mispronounced "Humphreys", and Righeimer. And then the drama began. It seems that, in the hours leading up to the event, there had been some disagreement about how this event would be recorded. Keep in mind that Barry Friedland of Costa Mesa Brief was all set up and rolling as this segment unfolded. However, as they were about to begin, Righeimer said he didn't agree to have only one source recording the event and owning the copyright to the product. Clearly, this was news to Humphrey and it appeared that the event might not get off the ground. Righeimer cited folks with cameras and Iphones in the audience, already recording, so Humphrey just said "Fine" and the show began. 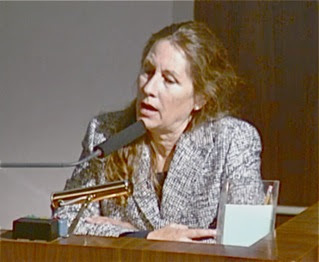 Interestingly, the High Priestess of the Costa Mesa Public Square, Julie Mercurio, apparently live-streamed the event. I'm sure there are snippets of the event floating around the internet already. 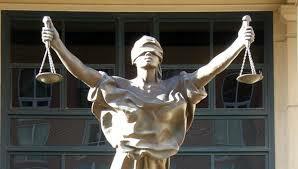 Costa Mesa Brief will have the event coverage up in a day or two. That seems simple enough, but it wasn't... more on that in a minute. I was going to attempt to provide you with a summary of questions and answers by each man, but that seems futile since you're going to have a chance to view it on the Costa Mesa Brief YouTube Channel in a day or so. Besides, the way the questions were handled it was virtually impossible to tell which question was being answered. That's on Pollitt. I will, however, give you my impressions of the evening. First, the big one... Who won? Well, I don't think either man came away from this debate as a "winner". Part of the problem was the administration of the format. Both made some strong points and both fumbled the ball. Pollitt established the rules in the beginning, then failed to follow them. Instead of having a crisp time-keeping procedure in place it was more than haphazard in the beginning. Nobody was the designated timekeeper. 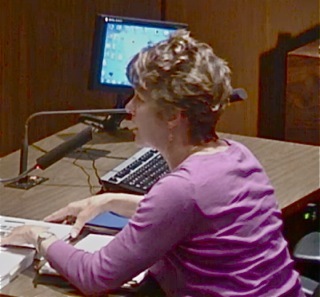 As a result, both speakers sometimes went long. And, Pollitt, rather than have both men answer the same question, frequently added elements to the issue when one of the men was about to "reply". As a result, it was difficult to figure out just what they were answering. There were 13 questions asked, more or less. I phrase it that way because of some creative enhancement of the questions as the responses were being delivered. 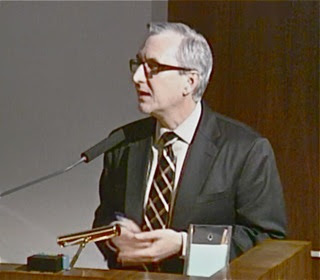 Instead of just letting the participants answer, Pollitt attempted to guide the answer by adding to the question. This would have been awkward enough if done by a man with a strong skill set, but Pollitt was uneasy and unprepared for this event and it showed in the way it played out. He also attempted to ask some "quick" questions at the end - a disaster. While there was no clear winner, there was a clear loser - Tom Pollitt. Humphrey did not have his best night. Some of his answers were vague - exacerbated by the sloppy format. 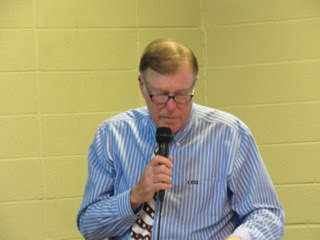 While he attempted to answer each question clearly, when Pollitt messed with the format and added "meat" to the questions it threw him off. Righeimer attempted to follow the rules, but frequently didn't. Often he just didn't answer the question asked but went off in a semi-related area. Again, some of that was due to the sloppy format. Unless the video is severely edited this will become evident as you watch it. Not unexpectedly, he was less courteous. 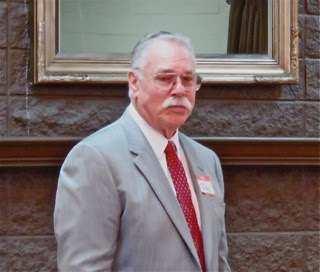 Righeimer attempted to make a point that the ballot measure will be virtually impossible for the casual reader to understand. Of course, that's his opinion. And, he implied a couple times that people were mislead into signing the petition by intentional misrepresentation of the facts, but provided no evidence of it... and that wasn't really the issue last night, after all. The item IS on the ballot and the voters WILL get a chance to express their preference. There were a few memorable moments. For example, at one point Righeimer, responding to a series of statements Humphrey made to a question, said, "I love you, man, but you're 100% wrong." 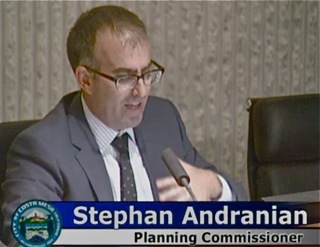 Shortly thereafter, when replying to a response and attempting to justify the Level 1 project on Newport Boulevard by citing the large increase in tax revenue, he said, "People don't want change. 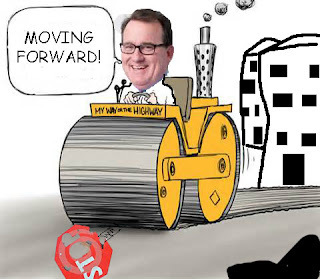 They need leadership to move these projects along." There are a few ways to interpret that statement... I'll leave it to you. The predominant theme from Righeimer might be summarized by, "If it ain't broke, why fix it?" He didn't say those words, but that was the "take away" (that's a Righeimerism) I got from his comments. A cynical person might interpret that to mean "Don't make life difficult for my developer pals to reap huge profits in our city". Several times he made the point that developers will NOT be willing to put up their cash and go through a long process involving an election. Humphrey, for his part, made the point that only a VERY small number of projects would come close to meeting the threshold - the triggers - that would launch the process to a vote of the people. 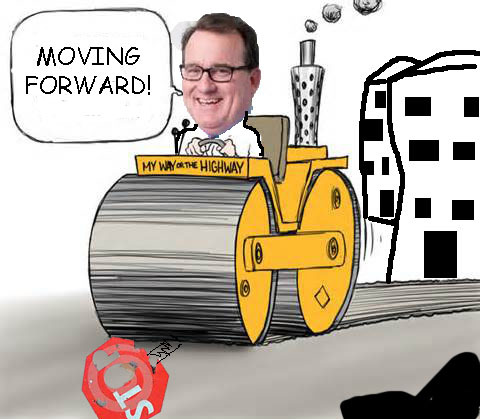 He also made the point that folks are tired of rampant development and increasing traffic. Each time he did that Righeimer pushed it back in his face. And, sometimes he did so in a language known only to himself. And on and on it went for more than an hour. The examples each used to prove a point were interpreted differently by the other. 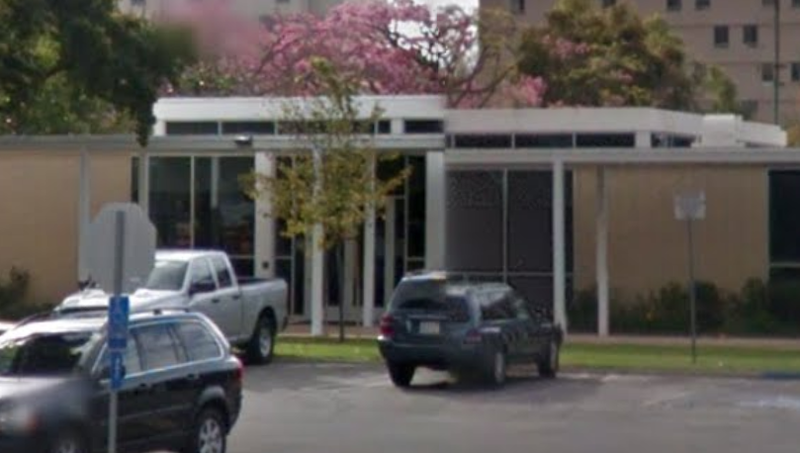 Righeimer tossed out the apparent pending demise of the Whittier School of Law, and what will happen to that property once they are gone. He implied that a new owner would be subject to the initiative - Humphrey replied that it may or may not, depending on their intended use. Throughout the discussions one thing continued to be clear to me... Righeimer is personally managing development in our city. In my view, this is NOT good for the city. He is but one vote on the City Council and, in my opinion, it is way beyond his authority to be out wheeling and dealing unilaterally. Of course, he KNOWS he has the votes, so he can act like a dictator if he chooses - which he does. 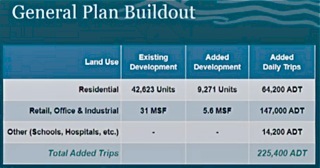 Please DO watch the Costa Mesa Brief YouTube video when it's available. You can click HERE to find it when it's posted. In the meantime, it's clear that this issue - the Smart Growth Initiative - will continue to be a hot-button item during the upcoming campaign. 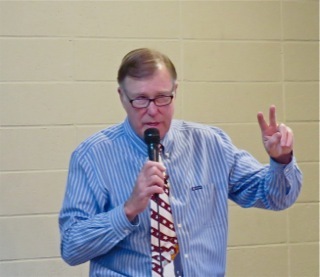 The event last night probably should have been Humphrey debating Mensinger, who is actually running for office this fall. As the campaign unfolds I suspect we will have more opportunities to have this important issue vetted in public and recorded for posterity. If this was the actual beginning of the campaign season it got off to a very rocky start. FILE UNDER "IT'S ABOUT TIME!" By now many of you have read the announcement by The City of Costa Mesa regarding the legal action taken against another "problem motels", the New Harbor Inn, 2205 Harbor Blvd. You can read that information HERE. When I first saw that I wanted more information than was available at the time, so I attempted to scrounge through electronic sources to get more information on what kind of egregious activities would have prompted this severe action by The City. I was unsuccessful, finding only a couple references that the New Harbor Inn was improving since The City decided to begin waging war on motels in the city a few years ago at the insistence of Mayor Steve Mensinger and Mayor Pro Tem Jim Righeimer. Today, though, a copy of the actual complaint has been made public. You can read it HERE. Trust me, once you reach the point early in this document where The New Harbor Inn is described as "a hub of criminal activity in Orange County" you probably won't stop reading. As you read down through paragraph after paragraph listing events and tallying-up crimes at that location you get a clear picture of why something had to be done. Yes, this place is a den of iniquity. So, now this legal drama will play out and it seems likely that a court will force something very serious to happen with that location - perhaps closure. That's probably a good thing, right? Then I began wondering about Garrett's Furniture Store next door, which is closing shop. I began thinking what a nice big chunk of land could be made by combining those two sites. 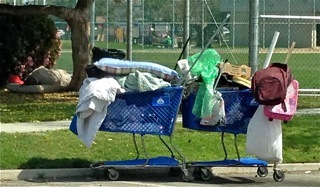 WHAT ABOUT TRADE WINDS MOBILE HOME PARK? And then I began thinking about the Trade Winds Mobile Home Park right next door and wondered what kind of huge development might be possible if ALL THREE of those properties were combined. I'm sorry, but these guys force my mind to work this way! It's going to be very interesting to watch this drama unfold, and to see what the future holds for all of these properties... and if any of the campaign contributors to certain local politicians end up involved with these properties. 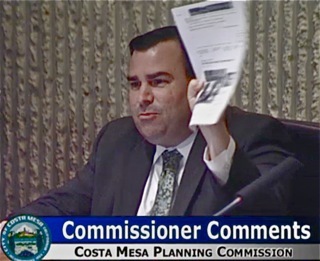 The Costa Mesa Planning Commission made a fairly short night of it Monday as they slightly juggled the agenda to shove the General Plan issue to the end. Under Public Comments Beth Refakes told of the move of the Heroes Hall building move at the Orange County Fairgrounds that morning. She also complimented the staff on the completion of the Costa Mesa monument sign at the end of the 55 Freeway. 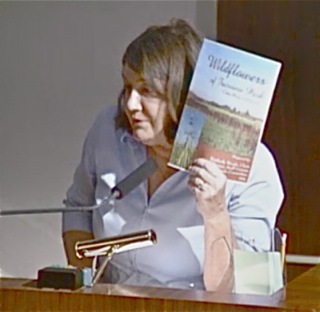 Kim Hendricks spoke of the various General Plan workshops and how it appeared that many of the opinions express by the public had not been considered, particularly regarding Fairview Park. An unidentified woman expressed concern about the sober living homes, and told the commission that a new restaurant, Holiday, was opening at the site of the defunct Maison on 19th Street and expressed concern about the completion of necessary repairs - sprinklers, etc. 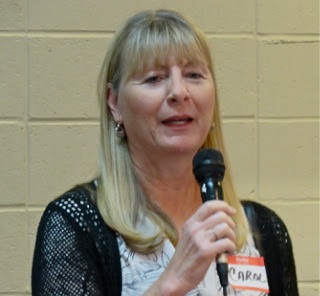 Cindy Black was concerned about a "non-profit" group doing work in Fairview Park, indicating that they are pretending to be conservationists but know nothing about conservation. 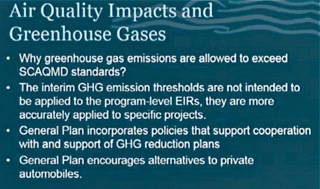 She also took exception to the whole General Plan process, describing it as a "show". 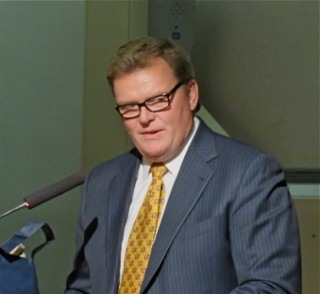 Pat Murphy showed up expecting to speak to the sober living issue, but it was not on the agenda. She described the negative impact of such places in her neighborhood. 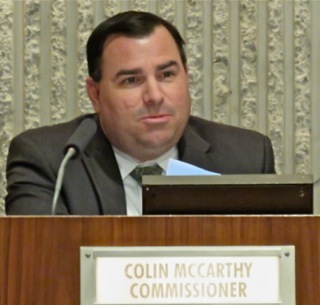 During Commissioner Comments Colin McCarthy waved a copy of the Orange County Register in the air, citing an article about two people who had stabbed a man at one of the motels - using the event to further denigrate motels in the city. 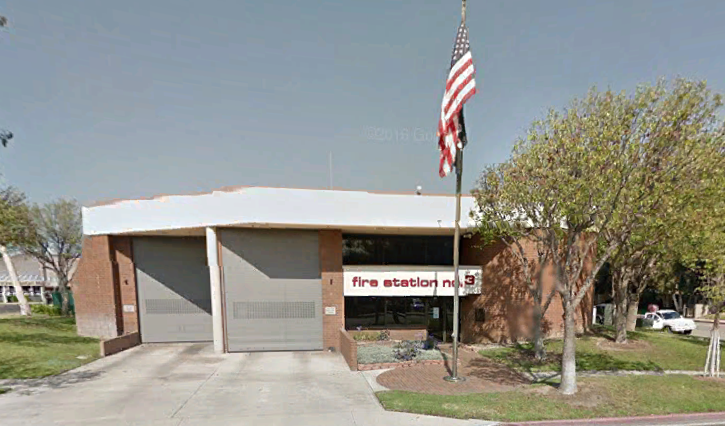 He complained that they were a drain on public safety resources and that they "weakened our brand." He said we "shouldn't be hearing about this in the paper." What he failed to mention is that the Costa Mesa Police Department - in a stellar piece of police work - snatched up the two perpetrators in less than 24 hours and had them in jail. 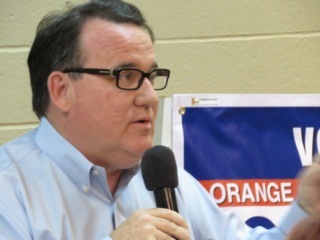 Politics in Costa Mesa is not a pretty thing. 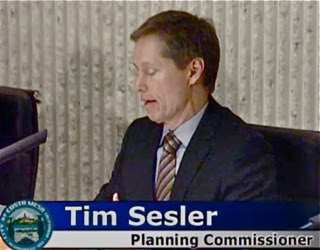 Tim Sesler complimented the staff for their "thoughtful, smart, consistent approach" for the city. Stephan Andranian thanked Ms. Murphy for coming to speak. 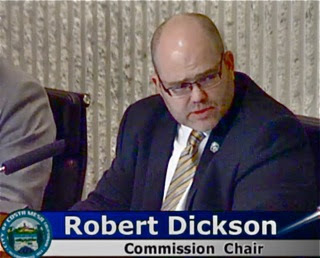 Chairman Rob Dickson gave us a little primer on the "Motel Task Force" - and how his assignment was to do something about the problem motels. Nobody pulled the Boathouse Collective review from the Consent Calendar for discussion so it was approved along with the minutes of the previous meeting, 5-0. Unfortunately, nobody told the owners of that restaurant, so they and their kids sat in the audience for an hour before they discovered it. Oh, well. Public Hearing #1, the Tentative Parcel Map for a big Eastside lot not too far from my home, was promptly approved on a 5-0 vote. None of the nearby neighbors showed up this time, so one assumes they're going to be happy four large lots on which four large homes can be built. 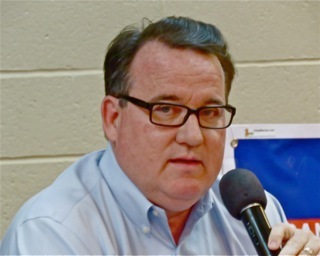 The developer, Steve Scarborough, apparently took great pains to communicate with the neighbors following the previous meeting where the plan for five lots was rejected primarily because the neighbors didn't like it. 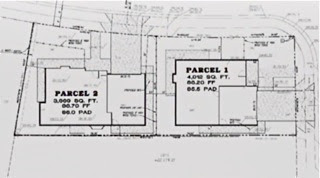 Similarly, Public Hearing #2, the two-lot subdivision at the corner of Pacific and Wilson on the far Westside was quickly approved. 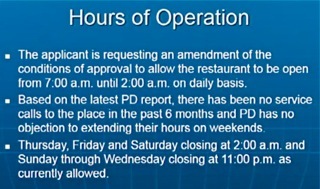 Public Hearing #4, which was moved ahead one slot, is the request for expanded hours of operation by The Hub restaurant on Old Newport Boulevard. The chart below shows what they were requesting. The commission approved expanded hours - from 7:00 a.m. - 2:00 a.m. Thursday through Saturday nights and 7:00 a.m. - 11:00 p.m. Sunday through Wednesday. They also included the longer hours for New Year's Eve, regardless what day it falls on AND, to placate concerns about noise for the nearby neighbors, a provision that all cars will be removed from the back parking lot at Midnight and it will be locked at that time. 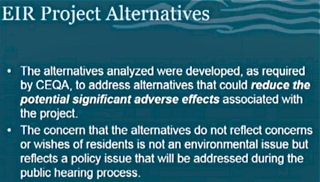 This brought us to the big item of the evening, Public Hearing #3, the General Plan Update and Draft Environmental Impact Report. 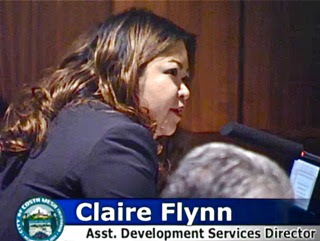 Assistant Director of Development Services Claire Flynn kicked off the four-part presentation by reminding us this was the fourth such hearing, which had followed nearly three years of public outreach via the Great Reach process. The staff report for this item was about an inch thick. 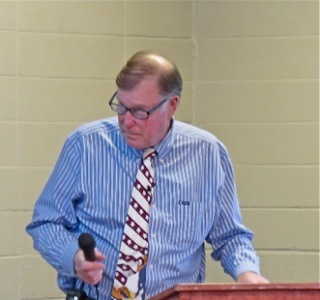 Among the issues discussed were the Fairview Developmental Center property, which will receive a new, previously-unused zoning designation of "Multi-Use Center". There remains some conflict between the City and The State regarding the density for this property, and also for the open space. The Airport Land Use Commission also signed in with conditions they need to be met by the General Plan, such as height restrictions and sound levels. US Fish and Wildlife also presented its views. 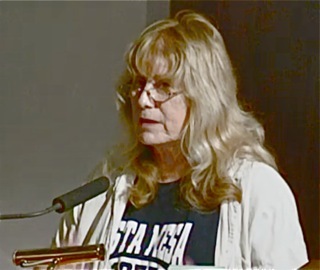 Consultant Laura Stetson, who has been intimately involved in this process for the entire time, addressed some of the concerns expressed by individuals at the last meeting. 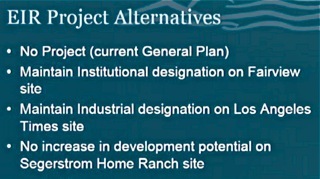 Some of those are covered by the following slides. 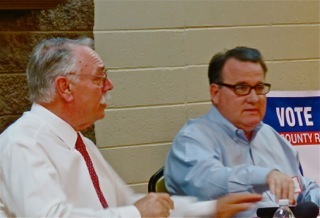 Colin McCarthy affirmed that nothing changes at Fairview Park as a result of the General Plan update. 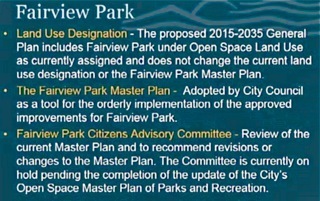 Acting City Engineer Bart Mejia confirmed that fact, and advised that the Fairview Park Citizens Advisory Committee will begin meeting again to complete their work to fulfill the update of the Master Plan of Parks, which is a decade old. McCarthy also complimented the staff for its creative solutions to the FDC issue. 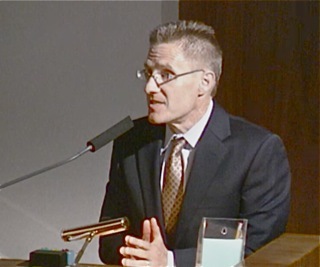 During the discussion it was affirmed that Affordable Housing is NOT included in this General Plan update - McCarthy made it clear that the City Council provided a strong signal on how it feels at the last meeting, when they rejected Katrina Foley's idea for an Inclusionary Housing Ordinance. A representative of the consulting firm Stantec updated us on the traffic issues. These slides show some of that information. 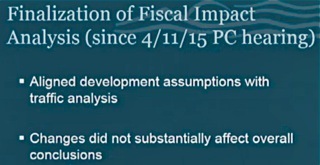 Consultant Roger Dale updated the Fiscal impact, as these slides show. 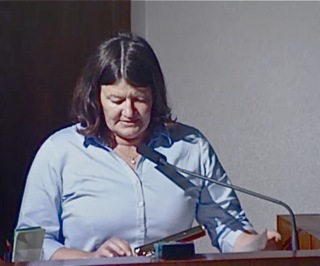 During the Public Comments segment Kim Hendricks told the commission that their data on "distance to parks" is incorrect, and provided information to the commissioners. 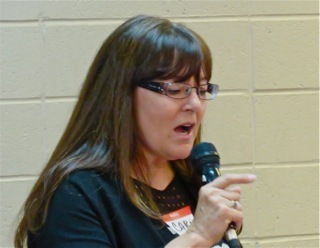 Cynthia McDonald expressed concern about the density and traffic. She also indicated that the renter vs. ownership housing ratio is headed the wrong way - from what was presumed to be 60/40 to 67/33. She also implied that there was a plan for "district parking" similar to Davis - which severely restricts individual parking in certain areas of that town. She also expressed concern for the lack of new parks, but the increasing population that will increase the demand for parks. 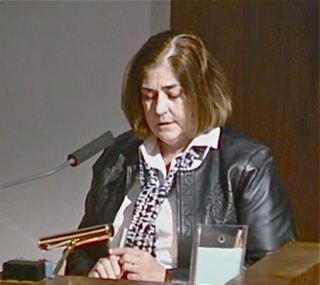 Kathy Esfahani, representing the Costa Mesa Affordable Housing Coalition, again bemoaned the loss of affordable housing in the form of so-called "problem motels" - another of which was just cited by The City Monday. 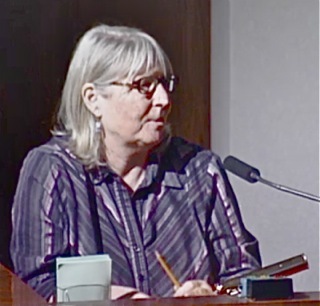 She also quoted Mayor Pro Tem Jim Righeimer from the last council meeting, citing some of his comments as "stupifyingly ignorant comments by someone who says he's an expert on affordable housing." She also said 10 cities have Inclusionary Housing Ordinances. As an aside, Righeimer was on the John and Ken Show on radio station KFI Monday afternoon pontificating about Affordable Housing for about 10 minutes. 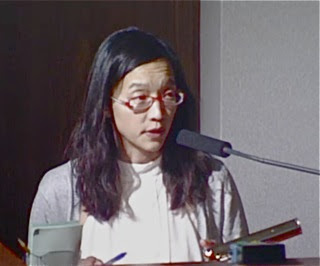 Linda Tang, representing the Kennedy Commission again complained about the loss of affordable housing units in motels, specifically citing the Costa Mesa Motor Inn, which is currently embroiled in two lawsuits, so the project to demolish it and replace it with luxury apartments has stalled. 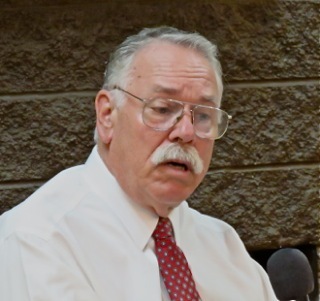 During the subsequent discussion McCarthy opined that the Fairview Development Center is probably a 20 year discussion, and that there will likely be some "horse trading" with the State before anything gets done there. 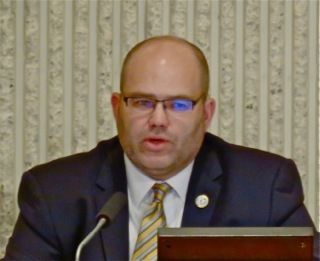 He also opined, again, that despite evidence to the contrary, he "knows" the city needs more playing fields, but didn't provide any kind of qualification for that opinion. 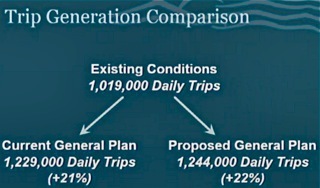 The commission voted to recommend that the City Council certify the Draft EIR and the General Plan. 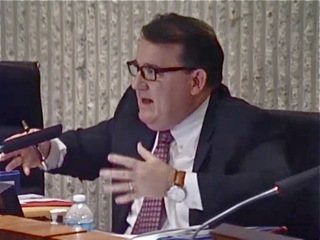 Flynn told the commission that the next step is for the Airport Land Use Commission to review the documents tentatively at their May 19th meeting, after which it will go to the City Council for consideration.